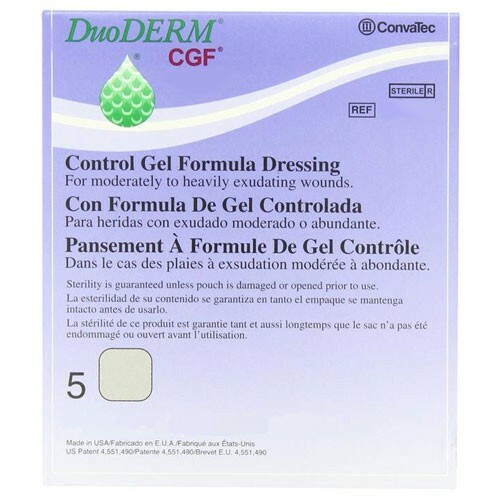 DuoDERM® CGF® (control gel formula) dressings consist of a highly flexible, polyurethane outer foam layer and an adhesive skin contact layer that contains a unique hydrocolloid composition. 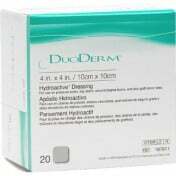 DuoDERM® CGF® dressing is a hydrocolloid, moisture-retentive wound dressing used for partial and full-thickness wounds with exudate. 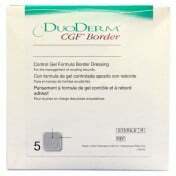 DuoDERM® CGF® dressings are conformable and can be easily molded into place to enhance patient comfort and minimize leakage. 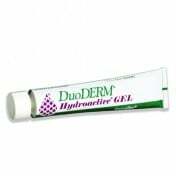 DuoDERM® CGF® dressing is indicated for use on dermal ulcers including full-thickness wounds, pressure ulcers (Stage II-IV), leg ulcers, superficial wounds, partial thickness burns and donor sites. 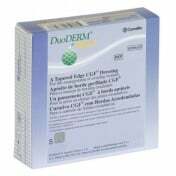 The clinical benefits of the DuoDERM CGF formulation are supported by over 500 published studies. Can this product be cut into smaller pieces for smaller wounds? will heal! 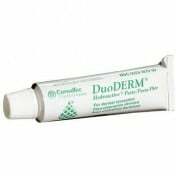 I have used this for an elderly lady that had a raw open wound and it healed it perfectly! 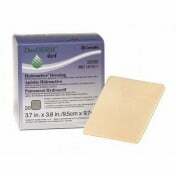 These kinds of patches are usually used to cover up severe open wounds. 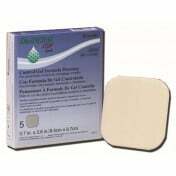 My dog has had a large wound over his leg and I used this kind of sterile dressing. The advice came straight from the doctor though - it worked so well. My dog had a speedy recovery without acquiring harmful infections.